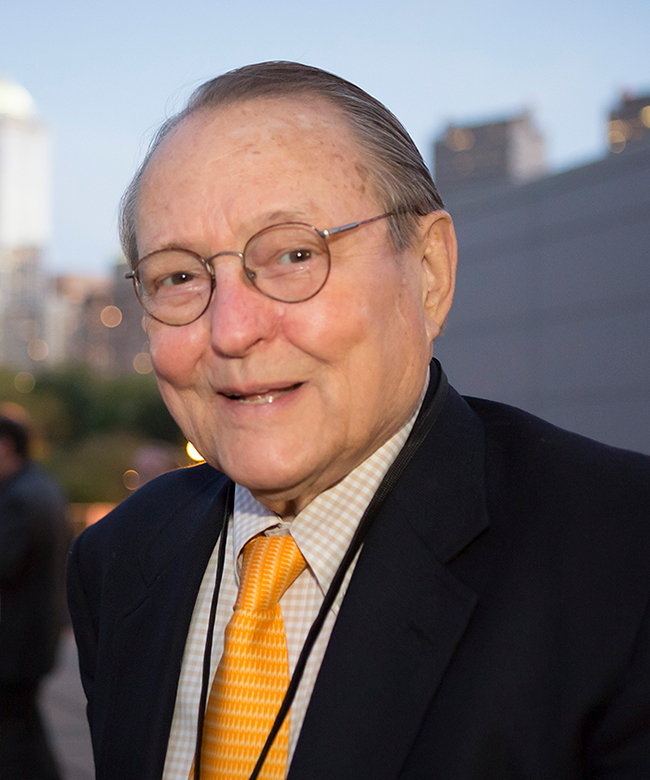 It is with the deepest sadness that we recognize the passing of the incomparable Theodore T. Newbold – art advocate, civic leader, and Trustee of the Association for Public Art (aPA, formerly the Fairmount Park Art Association) for an astonishing 52 years. Serving terms as both President and Treasurer, Ted’s enthusiasm for aPA’s work, his generosity of time, dedication to community life, and ebullient outlook, which he gave so freely, will be greatly missed. Among his accomplishments were the stewardship of the pioneering Form & Function and New•Land•Marks commissioning initiatives. Resulting works that held a special place in Ted’s heart included Fingerspan (1987) by Jody Pinto and The Labor Monument: Philadelphia’s Tribute to the American Works (2010) by John Kindness. As in life, even after Ted’s passing he has continued to support aPA by designating our organization as one of the recipients of memorial donations in his honor. We are truly grateful for all he has done for aPA and the City of Philadelphia. It was our esteemed honor to have worked alongside him for all these years. If you would like to make a memorial contribution in honor of Theodore T. Newbold, you may do so online or by mailing a contribution by check to the Association for Public Art, 1528 Walnut Street, Suite 1000, Philadelphia, PA 19102. All funds will benefit aPA’s efforts to commission new public artworks for Philadelphia.